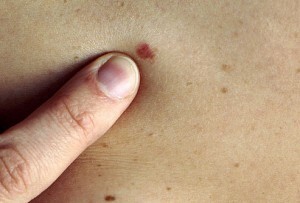 Do you know that skin cancer is the most common form of cancer in humans? Unfortunately, it is estimated that about 289,000 new cases of skin cancer will be diagnosed in the United States in 2016, and the annual occurrence rates of all types of skin cancer are actually increasing each year, which has caused a great deal of concern in the public and scientific worlds. In addition, it has also been concluded that almost half of all Americans who live to age 65 or older will develop a form of skin cancer at least once. Skin cancer occurs in people of all skin tones, including those who have darker complexions. When it happens in such people, it usually happens in the places that are not exposed to as much sun. Fortunately, there are some common signs of skin cancer, so you can do something about it before it is too late. The most common type of warning sign for skin cancer is a change in the appearance of your skin, like a new growth or a sore that just won’t go away. There are actually three different types of skin cancer, which each represent a different condition. From the most to the least dangerous, they are basal cell carcinoma, squamos cell carcinoma, and melanoma. While skin cancer is one of the most common diseases today, which affects millions of people every year, many don’t know that there are actually many different types of this cancer. Commonly called a “carcinoma” or a type of cancer, these diseases have different causes and manifestations. Following is a brief list of the common types of skin cancer. Actinic keratosis is one of the most frequently seen forms of skin cancer, and it is a precursor to squamos cell carcinoma. It appears as a rough, red or pink patch which has a scaly type of texture, and develops on the areas of the body that are frequently exposed to sun such as the head, ears, lips, neck, and the back of the hands and forearms. The patch is usually less than half a centimeter in diameter. It is a precursor lesion to squamos cell carcinoma, and up to 1% of these lesions can in fact develop into this other type of carcinoma on their own. Squamos cell carcinoma affects transplant recipients greatly. People who have been the recipient of an organ transplant are up to 65 times more likely to receive this type of skin cancer. Basal cell carcinoma may show up as a raised, pink waxy bump that could bleed following a small injury. There may also be superficial blood vessels and a central depression. It is locally invasive and rarely metastasizes. Organ transplant recipients are at a significant risk for developing this disease, and are in fact more than 10 times likely to develop basal cell carcinoma than the general population. Melanoma is the most common type of skin cancer, and it is the neoplasm of pigment (melanin) producing cells. It appears as a brown or black lesion in the skin, with irregularities in its symmetry, border, and coloration. The prognosis depends on the depth of the invasion in the skin, and up to 100,000 new cases of melanoma alone are diagnosed in America alone each year. Organ transplant recipients are again at a risk for developing this cancer — they are 3 or 4 times more likely to get it than anyone else. Melanoma actually accounts for about 6% of the post-transplant skin cancers in adult recipients, and 12-15% of child recipients. Less common types of skin cancer include kaposi sarcoma, which usually occurs in people with weaker immune systems . Kaposi’s sarcoma (KS) is a rare cancer of the cells that line blood vessels, called endothelial cells. It appears as brownish-red or blue colored skin lesions, which are found most often on the legs and feet. This cancer is caused by the Human Herpes Virus 8 (HHV-8), which causes the cells that line the blood vessels to become cancerous when in the setting of prolonged immunosuppression. It typically occurs in patients that have a Middle Eastern, Jewish, African and Mediterranean descent, where the HHV-8 virus is very common. The two most common types of skin cancer are the basal cell and the squamos cell carcinoma. These two conditions are referred to as the nonmelanoma forms of skin cancer. Melanoma itself is considered to be the most serious form of skin cancer, because it tends to spread throughout the body very quickly. Basal Cell Carcinoma, which is the least dangerous (but still a serious) form of skin cancer, usually starts as a small bump that has a dome shape to it, and it is usually covered by small, surface blood vessels which are called telangiectases. The texture of the spot is usually shiny and translucent, or pearly. It’s often hard to tell this type of cancer apart from a benign growth like a mole. These spots usually show up on the chest or back, and they look like patches of raw, dry skin. They can grow over the course of a few months or a few years. Basal cell carcinomas grow very slowly, and usually don’t get very large until months or years have passed. While this type of cancer spreads to the other parts of the body very slowly, it can cause damage to appendages like the eye, ear, or nose if it is located nearby. Squamos Cell Carcinoma shows up as rough, red bumps on the scalp, ears, face, and backs of the hands. They can sometimes appear against a background of sun-damaged or mottled skin. They might be sore or tender to the touch. This type of skin cancer grows a little more quickly than the first type we mentioned. 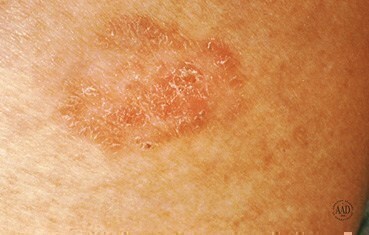 The beginning stage of this condition is called an actinic keratoses. This most prominent risk factor for developing squamos cell carcinoma is exposure to the sun. The lesions associated with this condition may appear after years of sun damage on certain parts of the body, such as the cheeks and forehead, or the backs of the hands. When going outside, cover yourself as much as possible. Instead of neglecting any unusual mark on skin, get it checked asap. 60 Seconds Panic Solution Review – Is Panic Attacks Cure By Anna Gibson is a Scam?